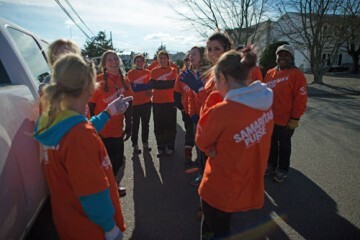 When Samaritan’s Purse responds to a disaster, the locals call the volunteers the “Orange Shirts.” But it’s more than the brightly colored shirts that make these people stand out. 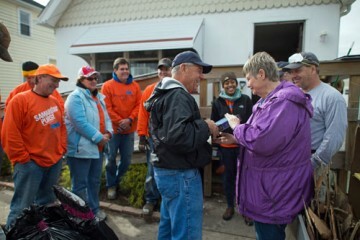 There’s a glow surrounding the “Orange Shirts,” and that glow is the love of Jesus that compelled them to come and help. It’s not that they brought Jesus when they came, but rather He invited them to join Him in the work He is doing here. 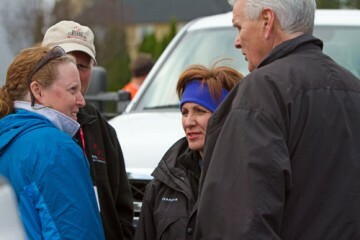 The path that leads Samaritan’s Purse to working with storm victims is often great evidence of God directing our steps. A friend who called our headquarters in North Carolina led us to help Barbara in New York. Forced out because of Hurricane Sandy, she had no one to help her pack and move her belongings. She had been recently diagnosed with a terminal disease and didn’t possess the strength to do it herself. She welcomed our offer to assist her. Dana works for the NYC police department and had no time since the storm to deal with her own needs. She, like many others, requested our help after being encouraged by several neighbors who had already been helped by Samaritan’s Purse. In one instance, God apparently bypassed all of the normal channels and arranged for FEMA to call us directly to request help for Herman Chan. He needed help clearing out his house and treating the mold. Even though the caller ID referenced FEMA, we knew the call came from God. Some folks found us the way Arlene and Ronnie did—in tears in the parking lot where our base was set up. They were searching for physical help, but really needed divine help. In all of these cases and hundreds more, God was guiding the reigns. He used individuals on the Samaritan’s Purse team or the ever-present chaplains from the Billy Graham Evangelistic Association to introduce each of these people to Jesus. They were among over 130 who found new life in Christ as a result of God’s direction during the disaster relief efforts for the Sandy aftermath. Each case was undoubtedly God ordained. Chaplains have driven to the wrong address and contacted the wrong person only to find it was a divine appointment and not the one written on their list of stops for the day. Neighbors have been reached, contractors have been touched, and deliverymen have been impacted by the work of these volunteers. In my time serving on the site management team, I found that the broken homes were an invitation to help a broken heart, the written plans were a suggestion to discover what God is already doing, and the hands of the volunteers exposed the heart of a loving God. A homeowner named Vincent summed it up well after watching our volunteers for three days. “Sandy is the best thing that ever happened to me,” he said. Volunteers slip into the lives of the residents seemingly by accident only to leave a lasting impact. 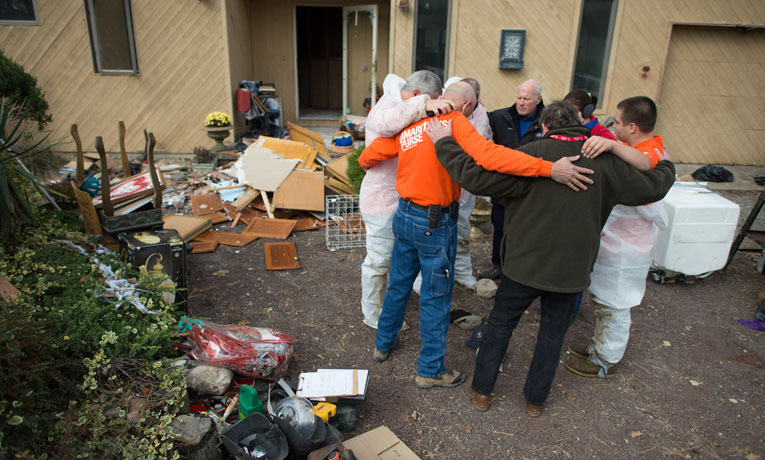 “The help and resiliency that has come to this area is equal to the bad stuff that invaded us, and Samaritan’s Purse volunteers have played a big role in that,” said another homeowner. 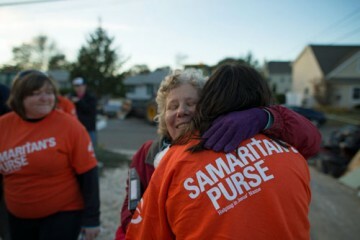 Now that cleanup has ended and rebuild begins, I look forward to hearing more stories of how God continues to connect volunteers with residents, making Hurricane Sandy the best thing that ever happened to them.